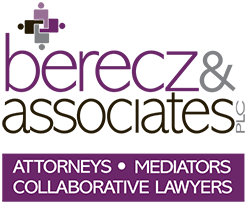 Berecz & Associates, PLC limits our practice to helping families. There is no area of the law we enjoy more than adoption. Attorney Deborah Bennett Berecz (pronounced Bé-reece) has a bachelor’s degree in psychology. Together with Attorney Jason Siffert, we are uniquely suited to assist those seeking to achieve a successful adoption plan. Perhaps you are a birthmother or birthfather who has chosen adoptive parents. If so, you may work with an attorney to ensure that a successful adoption plan is completed. Or perhaps you are the adoptive parents who have met with a birthmother and agreed that your family would provide the best home for the birthmother’s child. Either way, congratulations on making an adoption plan! Our firm represents birthmothers, birthfathers, and prospective adoptive parents in all legal aspects of the adoption process. Each party to an adoption has a right to independent representation by an attorney and one attorney may not represent both the birthparents and the adoptive parents in a given adoption process. You want to make sure that you work with a firm that strictly upholds these rights and we want you to know that Berecz & Associates, PLC will not represent both birthparents and adoptive parents in the same adoption. Our policy in this regard safeguards all involved to ensure a successful adoption. There are a lot of steps involved—and a great deal of paperwork—when you are making an adoption plan. You want to do it right. We are committed to guiding you through the process every step of the way. Call today for a free consultation click here. Deborah and Jason have experience dealing with the various adoption agencies and will guide you in choosing an agency if you have not yet obtained a Pre-Placement Assessment. Choosing a counselor to assist in managing emotional issues around adoption. Our office maintains a database of qualified professionals for individuals seeking counseling for the emotional and psychological issues surrounding adoption. Berecz & Associates, PLC also provides post-finalization services, such as securing a revised birth certificate, acting as intermediary for post-adoption communication between birthparents and adoptive parents, etc. While we bring a very open mindset to adoption in general, our firm has developed eligibility standards for prospective adoptive families in order to ensure that the best interests of the adopted child are met. For example, prospective adoptive parents must commit to complete disclosure of any information which may impinge on parenting abilities, be free of any chemical dependency, obtain a favorable Pre-Placement Assessment (unless seeking to appeal an unfavorable report), agree to provide the birthmother complete medical and mental health information on both adoptive parents and their children in exchange for similar information from the birthmother, and be free of terminal illnesses. Do you want an “open” adoption? Many adoptions today are considerably more “open” than they were twenty years ago. There are a wide range of options available from no contact whatsoever between birthparents and adoptive parents, to exchanging photos to meeting one another on a frequent basis, both before and after the adoption is completed. We will facilitate the degree of contact mutually desired by birthparents and adoptive parents. This is a delicate issue requiring careful consideration and perhaps counseling in an effort to meet the needs of all parties involved, particularly on behalf of the adopted child. Call today for a free consultation click here.